To: Pascarelli, Robert J ý f/L. 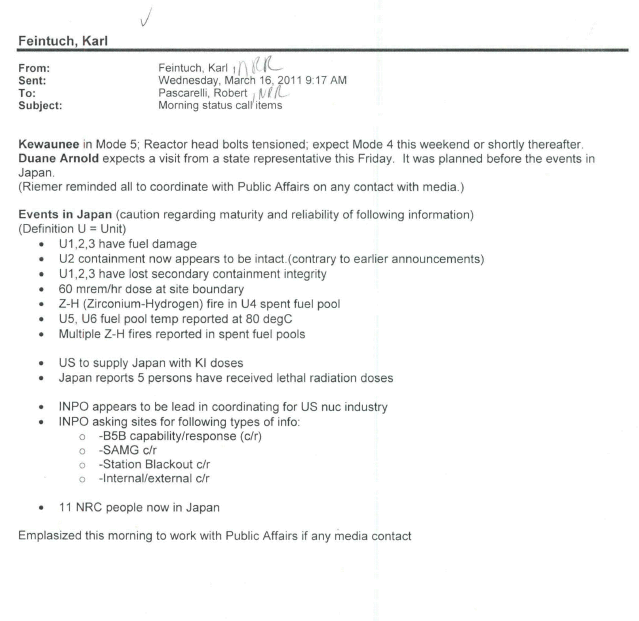 Kewaunee in Mode 5; Reactor head bolts tensioned; expect Mode 4 this weekend or shortly thereafter. Duane Arnold expects a visit from a state representative this Friday. It was planned before the events in Japan.